Taking care of your teeth is not as simple as brushing twice a day. It requires prominent care with recommended care by your dentist. However, what is equally important is that you understand and trust that your teeth will be kept in ideal condition from dentist recommendation. Typically, it is simple to choose your local dentist, which is common. However, finding a dentist that you can truly communicate with you and look after you is a challenging task, but also one that is neglected, understandably. There are many factors that you as a patient would need to consider. It’s not an easy decision. You’ll have cost constraints, quality concerns or even travel concerns. These are common factors as to why patients would be happy with their local dentist up the road. This neglects the question, however, will you get the maximum level care for your teeth? There are many dental clinics to choose from, but how do you dictate which clinic works best for you and the care of your teeth? Here are some useful tips to consider when searching for that optimum level of oral care for your teeth. 1. 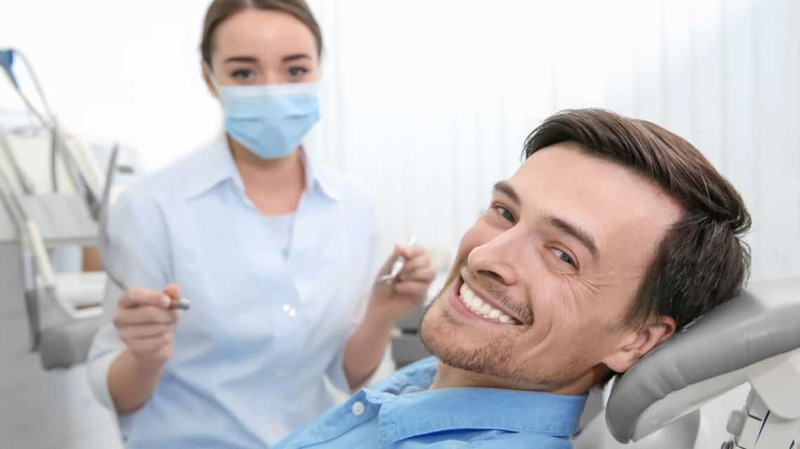 Search for reachable dental clinics and identify google reviews and credibility – The internet is where all answers are found, from popularity to negativity. Limit to three dental clinics within a decent travel range and narrow down your choice from the reviews and comments a clinic location receives. This is an effective way to determine which clinic caters for the best dentists and the best treatment cycles. 2. Educate yourself on readily available information on denture website – When reading dental information, it is important to engage yourself with what the dental clinic website is telling you. Is it informative? Does it appeal to you? Identify the website which gives you as much detail as possible with regards to oral hygiene, their role in taking care of your teeth and ensure it reads professionally. A well-informed website goes some way in patients choosing an appropriate dentist that will take care of you and your teeth. 3. Understand cost efficiency and ensure comfortability – Cost of check-ups is one of the main points that come to mind when selecting the clinic. It is worth remembering that clinics who charge on the expensive side are generally catered to delivering excellence. Clinics may charge further for than anticipated for check-ups due to the use of cutting-edge technology, higher-level equipment and better efficiency of practice in conducting dental procedures. 4. Be pragmatic and Open – Some Hornsby dental clinics could advertise their ‘picture perfect’ smile with just a single treatment. With what is advertised on the dental website, proceed with caution, be pragmatic, and realize that the purpose of this kind of advertisement is to attract new patients and to sell itself. The best denture clinics would take a considerable amount of time to treat their patients. Entering a clinic based on a belief of their advertised promises may end up in disappointment.